For any creative agency, the biggest goal is to see their work displayed around the streets of the country. Though a traditional medium to reach massive target audience, outdoor advertising is still has its own distinct effect. From billboards, street furniture, mobile billboards to interiors and exteriors of vehicles, this type of advertising works well if used strategically in geographic areas. If your brand is keen on implementing outdoor ad campaigns and investing money in ads, you will want to make sure that it is a success. Below are 5 tips will give you a better idea of what goes into the process. When it comes to outdoor advertising, it commonly includes Billboard advertising, Point of sale displays, Street furniture (bus shelters, kiosks, telephone booths etc), Transit advertising and wraps (taxis, buses, subways, trains etc), Mobile billboards and Guerrilla advertising (aka ambient media). Your brand needs to choose a form, which will prominently highlight your product well, so as maximum audience respond to it or get attracted to it. A study reveals that an average person views a billboard for about 4 second or in some cases it may be much longer. So, as an advertiser you only have maximum three seconds to create an impact on those viewing it. However, the results from outdoor advertising takes time, but the sole purpose of setting up ad campaign is building brand recognition and bolster the advertiser’s image. Outdoor signs which are displayed in specific geographic area helps to grab attention instantly. Make sure the message is succinct and intrigues prospective customers. Keep the design simple and intelligent. If the words and stunning visuals are strong, other factors like location and duration of campaign will make it successful. Locations plays an important factor in helping your ad get attention. So, you need to select an area where you can target as many people as possible with your promotion. Usually advertisers prefer highways as an apt placement for setting up outdoor ad campaigns no visual interference which may obstruct viewing ads and do you favours. Choose a reasonable height, so that it can be easily spotted. 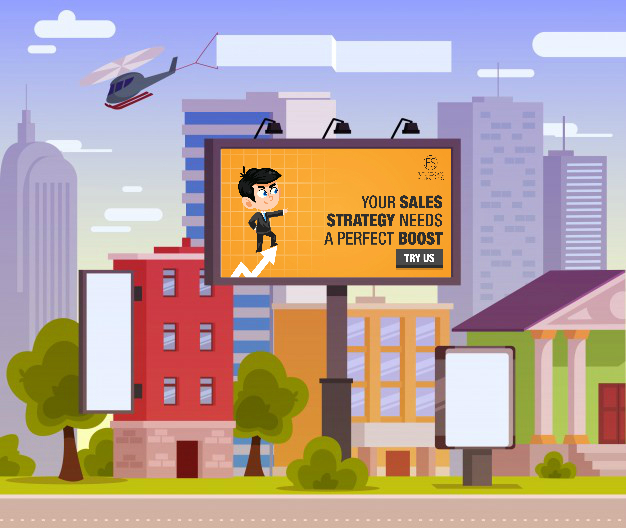 A study shows that 74% of outdoor ads that were situated within a driver’s field of vision and of them 48% were read. If you want to target professionals, then commercial areas are the ideal sites. Would you like to promote your brand’s product with outdoor advertising? Futurescape Advertising has a vast experience in creating ad campaigns that capture audience’s attention. Contact us to find out more about our outdoor campaign capabilities. If you would like to know more about us, or to find out how we can help you, get in touch with us today.